The day begins with a kids expression session, starting at 12 noon, with spot prizes. The main event starts at 5pm and wraps at 9pm. 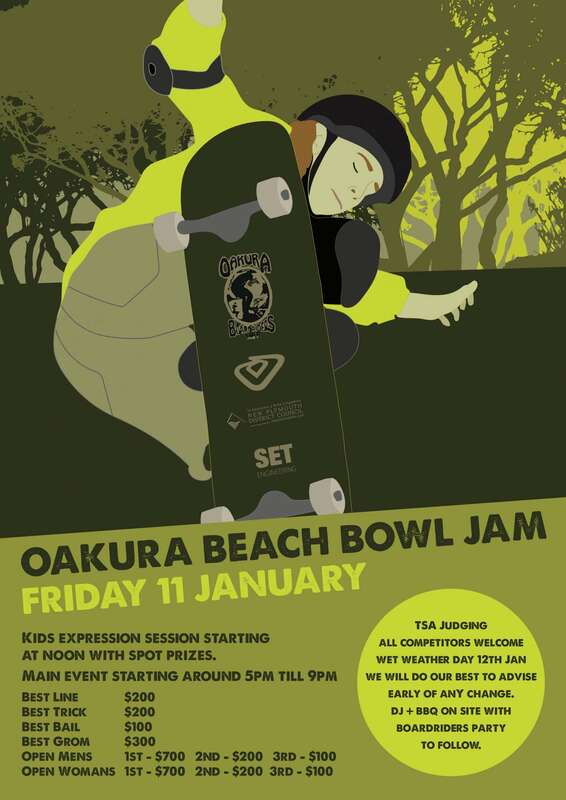 The Taranaki Skateboarding Association will be judging the event. All competitors are welcome. The wet weather day is Saturday 12 January. DJ and BBQ on site with a boardriders party to follow.